Whilst setting up to start studying Hootsuite academy, I found in my notebook some further comments that I’d written on Marketing Essentials (my first set of notes are written up here.) Recently I’ve been trying to go back over old blog posts and refresh what I’ve learned, so I thought I’d better get these notes down before I forget about them! Few organisations can take advantage of and address every marketing opportunity that comes along and they simply won’t have the time, staff and resources to do so. Therefore organisations have to use market research to know how to focus their marketing programme, and the specialist skills that they will need their staff to have. Staff and their skill sets are particularly important in this area. The marketing strategy is different to the corporate strategy – this defines the overarching agenda for the whole organisation, whereas the marketing strategy lays out the best way for an organisation to use it’s resources to achieve it’s goals. 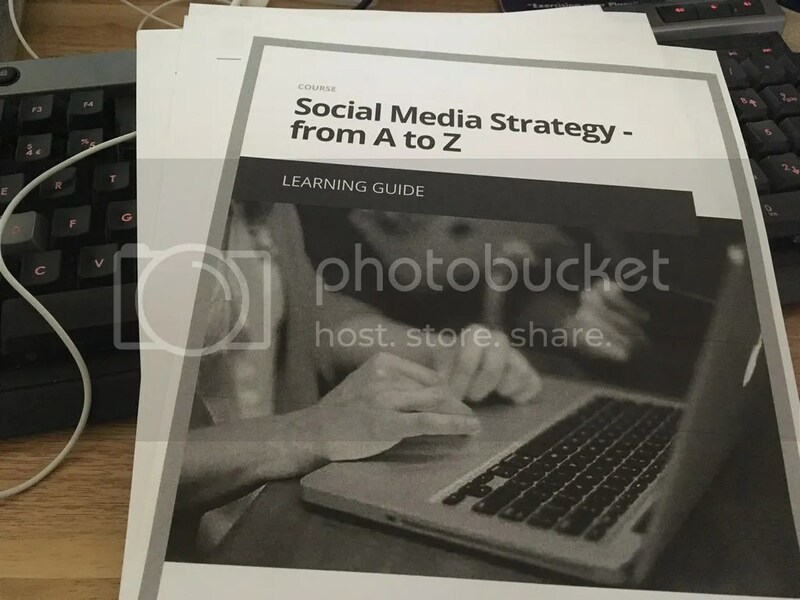 So, having gone over that I’ll need to jump back into the rest of that book chapter and make enough notes for a part three post, but firstly it’s back to the Hootsuite course. Much of the course seems to be videos-based, which much like my Google for Business posts during last year’s Blaugust should mean that I’ll also be able to do a few reflective blogposts soon enough. I haven’t done any Future Learn courses for a while, but I’ve decided to try and kick start some learning in other areas. I’ve continued to work on my French via Duolingo, and it’s a slow process but I’m able to make it part of my morning commute. The XP system in Duolingo is a great example of Gamification, as I’ve got a daily goal to hit and I’m mostly managing it. After originally not getting into Highbrow, I’ve decided to give it another try, and I’ve realised that the problem last time was probably the course content. I’ve started something very different – a email course that sends you and explains a short new business case study every day. The case studies come from University courses, and while they’re too short for it to feel worthwhile writing a blog on it right now, I definitely feel that I’m picking up ideas from them. Once I’ve done the whole course, I might write a post reflecting on it. So the next thing I’m looking at is Hootsuite Academy. These seem like much more involved courses, but they’ll probably be much more valuable to me career-wise in the long run. It seems like there are online quizzes/exams at the end of each course, but unlike FutureLearn, they can be started and finished at any time, so while I’ll be making sure to put sure time aside for it on the regular basis, I can also take my time to really get in depth with the course materials. I’m printing out the first pdf. of questions as I write, and I’ll see how this goes. Twitter is the medium that the organisation I work for is most active on, unsurprisingly since the lifecycle of a tweet is that much shorter than that of Facebook. I can’t now find the article to quote from (my life :S) but I definitely read something that the average lifecycle of a tweet is less than a few minutes, whereas a Facebook post gets about an hour and a half. However, the native Twitter web platform seems to have regular bugs. particularly sometimes not showing replies which is a huge problem if you’re a public-facing service! But personally, I’ve found that Hootsuite can be slow to update and show retweets and likes (you are less spammed with notifications of course, but if it’s a quiet period it’s sometimes good to see those in real time, especially if you’re trying to see when engagement is happening). Therefore I tend to keep both open, that way I can ensure that I don’t miss anything. In my current position we’ve not sharing a lot of other people’s content except through pre-arrangement or when it’s directly relevant to us, but in previous roles it was important for engagement to show lots of other third-party content that followers would find interesting. To keep from having to spend a long time looking up content, you need an easily accessible list of places to look. It needs to be relevant, but from big enough range of sources that your content doesn’t get stale. There’s some tool that Hootchat has recommended me (#Hootchat is a twitter convo from Hootsuite that’s really good to follow if you work in this field) that I’m planning to try them but even just keeping a list of bookmarks is a good idea. There’s also plenty of sites and apps that can helps with this such as Diigo or Bitly. It’s a great idea to try and make connections via DM with other similar accounts, or if you’re at networking events, try to link up with their marketing/social media manager and see if there’s ways that you can help each other out and promote each other. Reciprocal marketing is something that I deal with a lot, even if it’s just ‘you tweet about this and I’ll tweet about that’ because it’s a great way to get your content/product/whatever out to a new audience.